Omer is an upscale town just north of Beer Sheva. Omer is known for its high socio-economic ranking. It is one of three municipalities to score 10/10, along with Kochav Yair and Savyon. Omer’s population is roughly 7000 residents. The majority of Omer’s population is secular and Ashkenazi, including both young families and senior citizens. Omer is quiet, clean, and green. Since it is only a ten-minute commute, many residents of Omer work at Soroka Medical Center or Ben Gurion University in Beer Sheva. In addition, Omer’s Industrial Park includes an industrial zone, an industrial park, software center, and engineering center that include some of the largest engineering companies in Israel. There are roughly 30 companies of various fields of hi-tech, manufacturing and services which operate in the park. There are also many opportunities for English language teaching or private tutoring within the town. There are thirteen ganim available in Omer. Omer has its own elementary called “Omarim” and its own high school called “Makif Omer”, both with very good reputations. 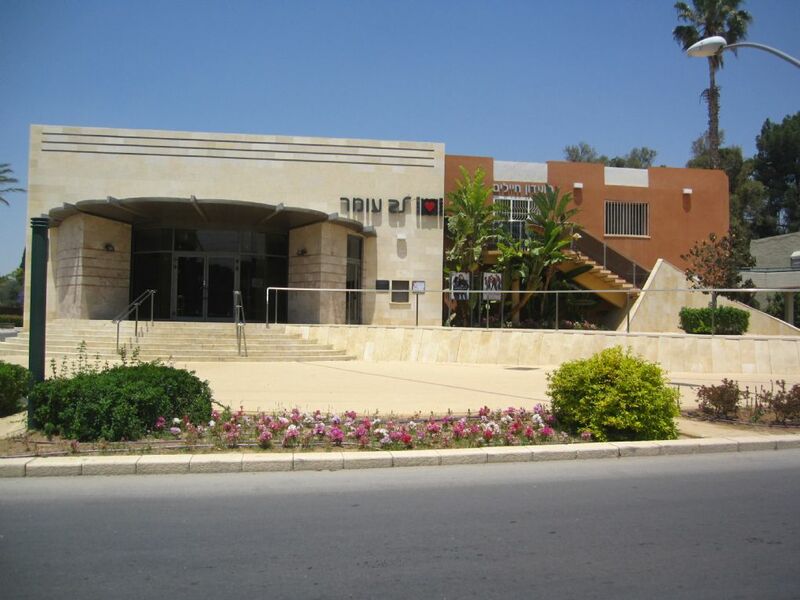 There is a community center on the main street of Omer which offers a vast variety of after-school activities for children of all ages. There is a very active youth group of “Tzofim” for grades 4-12. There are two bus lines (27 and 37) that travel throughout the entirety of Omer, and many other bus lines that stop directly outside of Omer’s entrance. Buses 27 and 37 travel throughout a portion of Beer Sheva, passing right by the university, hospital, both train stations, and the central bus station in Beer Sheva. The buses come quite frequently and timely, especially in the morning and evening times. There is no formal organization geared towards uniting or assisting the English-speaking community of Omer. However, the various synagogues provide services that are very helpful to new Olim. In addition, Olim in Omer take advantage of the services in Beer Sheva – including Ulpan and the AACI. Inside of the town of Omer, there are several stores and services available including dry-cleaning, barber shop, florist etc. There is a Bank HapoAlim and SuperSol in the city center. The community center of Omer houses a gym and pool, supermarket, Clalit health care clinic, post office, bakery, and more. At the community center, there are many educational and social opportunities. There is also a small movie theater inside Omer. At the end of 2011 the Ministry of Development of the Negev and Galilee decided to develop a new golf course and a 200-room hotel covering an area of ​​about 800 acres in Omer. The project, estimated to cost about 18 million NIS, is designed to attract investors and international tourism. The community rabbi is Rabbi Joseph Ginsburg, who can be contacted at rabanutomer@gmail.com or by phone at 08-6460903 or 050-844-3429. There are multiple synagogues in Omer, as well as a Mikvah, Torah library, and Chabad house. Kehilat Magen Avraham is a Masorti Congregation in Omer with an American-born Rabbi and many members who are English-speaking Olim. “Ganei Omer” is a private Retirement Village in a garden setting located within Omer. It is unique in that it is run by home owner shareholders, living in single story homes. Each home has a patio, small garden & private front entrance, which can be bought or rented. There is a Board of Directors elected to control the community. Purchasers are subject to approval by a Residents Committee, and one requirement is that prospective buyers should be between ages 60-80 years old. Services and facilities provided include medical clinics, a restaurant, free cable TV, an internal telephone service, banking & postal services, free transportation for shopping, lecture room, auditorium, offices, class rooms, library, swimming pool, gym, and beauty shop.